It’s so easy to do the fun stuff first and keep being distracted by the creative and enjoyable parts of event management. But keeping on top of all the small but vital tasks is crucial to ensuring a smooth event. In 2019 we’re going to be doing them first – not last. #2 “Keep your inbox tidy. I always try to keep my inbox tidy to prioritise and not miss anything important”. We’re all drowning under emails just now. One research report says we spend up to 28% of our day just managing our inbox. Keeping on top of it and filing and dealing with anything as it comes in is going to really improve efficiency this year. Lateral thinking, brain storming, looking for inspiration in unlikely places. Our team told us they’re going to be employing the full spectrum of techniques to ensure our events are more creative and memorable than ever before. If you’re in event planning it’s a given that you’re someone who loves to be organised, but this tip from one of our top event planners might just hone those organisational skills even more. And who doesn’t love the satisfaction of seeing lots of lovely ticked tick boxes on a list? Having confidence in your abilities and decisions isn’t always easy but looking back on all those occasions where you’ve made the right decision (and had lots of very happy guests as a result) will really help build this this year. Hand-in-hand with confidence in decision making is being able to remind yourself just why it was the best approach for the problem or challenge further down the line. Nothing beats laying out a good ‘pros and cons’ list on a sheet of paper to refer back to later. There are some great blogs in our industry – we’d like to think this is one! – getting outside inspirations from others working in the same field can only be a good thing. In 2019 our event organisers are going to be doing lots more of this. #8 “I’ve recently started using OneNote to organise my thoughts, to-do lists and long term projects for 2019 – give it a go!”. We love this tip for a specific software tool that’s working for one of the top performers in our team. You heard it here first! 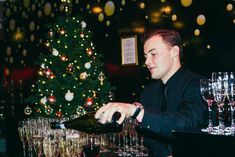 We hope some of these tips are going to help your smash your event management role in 2019. 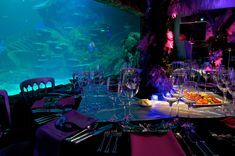 To discuss organising your corporate event in London at any of our top London attractions please get in touch. One of our corporate event specialists would love to chat through options with you.